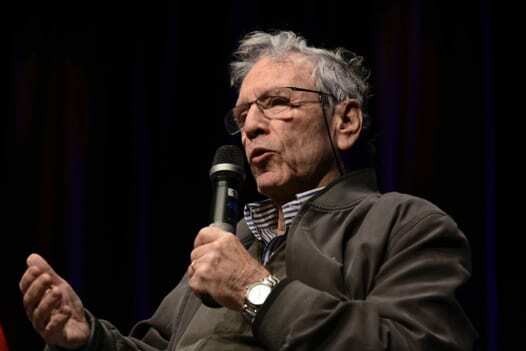 For those who only know Israel as a field of political combat, Amos Oz was just a writer with a point of view about his country’s basic political and security dilemmas…writes Jonathan S. Tobin/JNS. 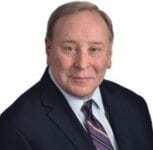 Oz’s advocacy for the two-state solution and his dim view of the current Israeli government, as well as many of its predecessors, figured prominently in obituaries that noted his death on Dec. 28 at the age of 79. Oz was a major figure in Israeli letters dating back to the 1960s and had been an international literary star since his novel My Michael was translated into English in 1972. But the fact that he was one of the founders of “Peace Now” seemed to be just as important as his writing to those whose interest in Israel begins and ends with discussions about the conflict with the Palestinians. Oz’s political leanings are worth discussing primarily because he stood for a form of liberal Zionism that is growing increasingly out of fashion on the left. At a time when attacks on the legitimacy of the Jewish state—no matter where its borders are drawn—have become commonplace among those who laud intersectional ideology, Oz’s intense Israeli patriotism and belief in his country’s right of self-defense seemed out of step with the views of some of the Jewish state’s critics, including many who are Jewish. Meanwhile, right-wingers dismissed his belief that the country’s future could only be secured by a peace deal that would allow two states for two peoples, in addition to his criticism of the settlement movement. Indeed, after belief in Oslo was blown up Yasser Arafat and the Second Intifada, coupled with repeated Palestinian rejections of offers of statehood, Oz’s politics came to be viewed as obsolete by many on both ends of the political spectrum. But it would be a mistake to view Amos Oz primarily through a political lens or to gauge his worth solely by one’s stance on the peace process. Oz’s place in Jewish history is instilled as an eminent figure of Hebrew and Israeli literature. More importantly, commemorating his life means reminding us of the centrality of Hebrew in not only providing the foundation for Israel’s creation but also as essential to the future of the Jewish people. His achievements, along with other exceptional Israeli writers, must be understood as having provided the idiom by which the truest expression of Jewish and Israeli identity can be expressed. The revival of Hebrew as a modern language was as important to the success of the Zionist movement as other efforts to settle the land, and build and defend the Jewish state. It is entirely right to honour and wish to preserve the joys and achievements of Yiddish, as well as Ladino and the other languages (including English) in which Jewish thought has been expressed. But Hebrew is the only tongue and the only literature that unites the entire Jewish people, rather than just the segments that lived in Eastern Europe or portions of the Mediterranean and Middle Eastern Diaspora. Making the language of the Bible and Jewish religious liturgy, which linked Jews to their home in the land of Israel, the lingua franca of the ingathered Jewish people was essential to their becoming a nation rather than a collection of immigrants. The enormous achievements of Hebrew literature lie not in just telling us the stories of the community that was created in the Jews’ ancient homeland, but in providing the narrative of a nation reborn in all of its complexity, sorrow and greatness. Oz’s tales and his prose exemplify this process by which modern Hebrew literature became the vessel through which Israeli thought and identity were expressed. The Jews are a people who have always valued the written word, and in that sense the literature of modern Israel—and that of its greatest writers and poets, such as Chaim Nachman Bialik, Shmuel Yosef Agnon, Yehuda Amichai, Aaron Applefeld and Oz—are among the most remarkable achievements of Zionism and Israel. One of the real failures of modern American-Jewish life has been the inability of Jewish institutions to sufficiently promote the study of Hebrew in day schools and synagogue programs. All too many Jews, including many who love Israel, remain ignorant of the language that is the lifeblood of modern Jewish life. Oz’s books teach much about Israel, but though they can be enjoyed in translation, it’s axiomatic that it is only in the original Hebrew that the magnitude of his achievement and its worth can be appreciated. That’s why instead of rehashing sterile political arguments, we should honour Oz’s memory by supporting Jewish and Zionist education that prioritizes the study of Hebrew. In doing so, we will be helping to reinforce the sadly declining sense of Jewish peoplehood among young Jews, as well as giving them a precious gift. You don’t have to agree with everything Oz said or wrote to respect the integrity of his views and his life or to understand the importance of his writing and why it worked to explain so much about the many dilemmas Israelis faced. You can appreciate it because it helped depict Israel, in all its brilliance and blemishes, to readers around the world in more than 40 languages. May his memory be for a blessing.